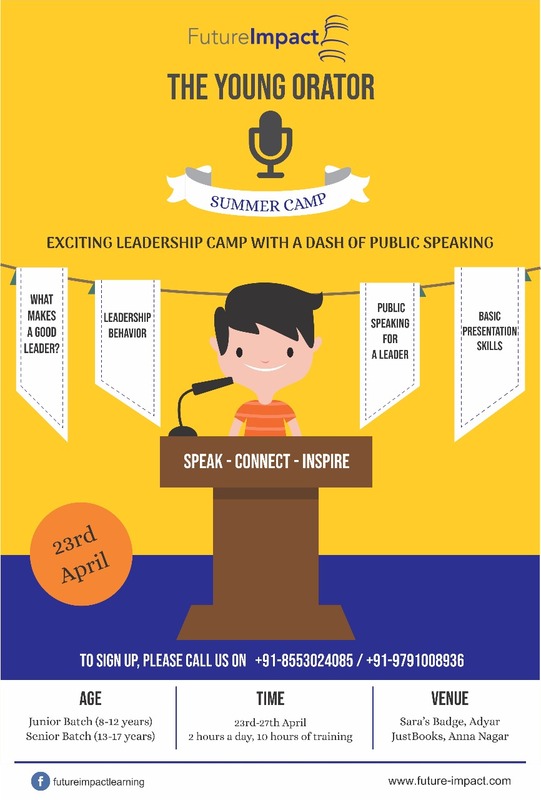 The Young Orator Summer Camp 2018 is dedicated to the theme of Leadership. This 5-day camp will touch upon leadership from a behavioral and communication perspective. Good leadership is the sum total of several skills, but the golden thread that connects all these skills is effective and decisive communication. For a leader, communication is not just transmission of information, it is connection and inspiration. When a leader speaks, his/her words and actions should convey the vision, the team’s purpose and the values. What makes a regular person a leader? The 6 behavioral changes for effective leadership. Leadership in a Student life. Basic Presentation Skills for a Leader. Methodology – Activities, Skill building sessions, Games and Events.